Hello there! Well, I was suppose to have my Launch Pad reveal done last week, but the week got away from me so here I am. I'm back and I kicked it into high gear and finished it today. Here's what it use to look like? 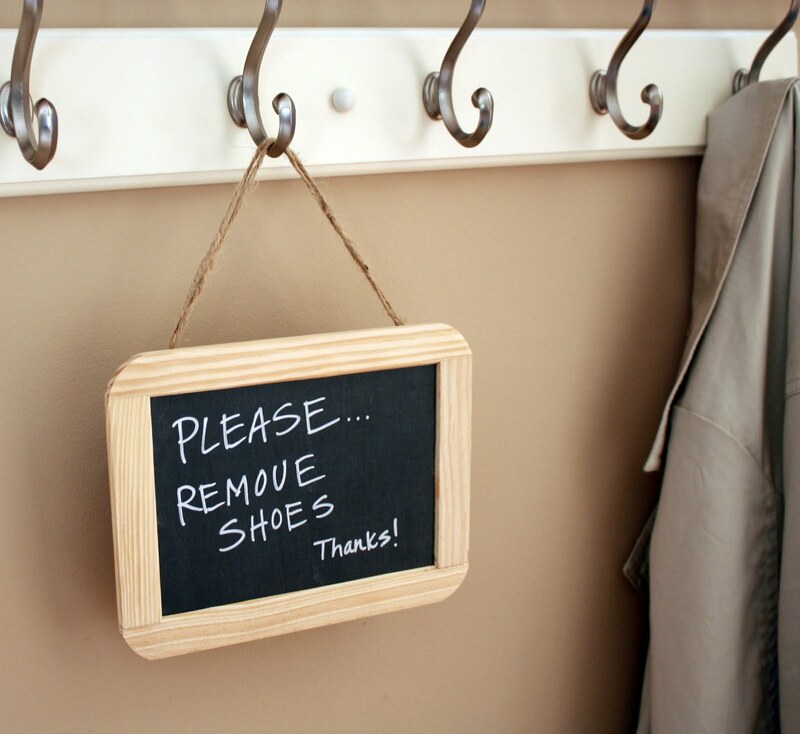 I still have nightmares about tripping over shoes! 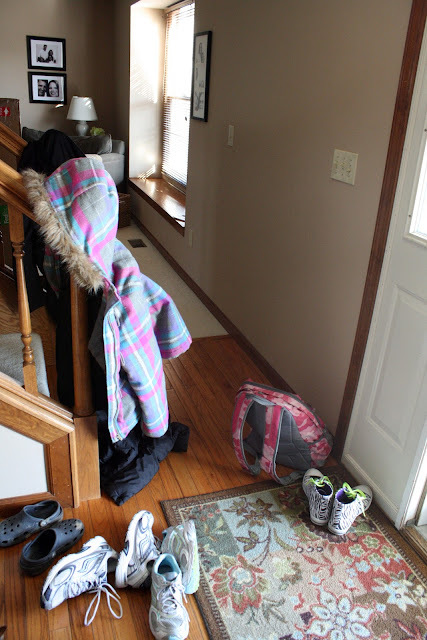 The primary goal for "my" launch pad was to get all of the shoes and coats off the floor and off the stairway railings. In other words, get organized! I found the coat rack at Walmart and it was white, but I took care of that and gave it a new coat of Heirloom White spray paint. Then I knew I wanted to incorporate some pictures of my girls but wasn't sure what else to use. A couple of weeks ago I found a metal sign at Hobby Lobby and took a picture of it thinking I can create something with these awesome words....."In Our House" What a perfect place! How fitting to see these words when you are coming in or going out. 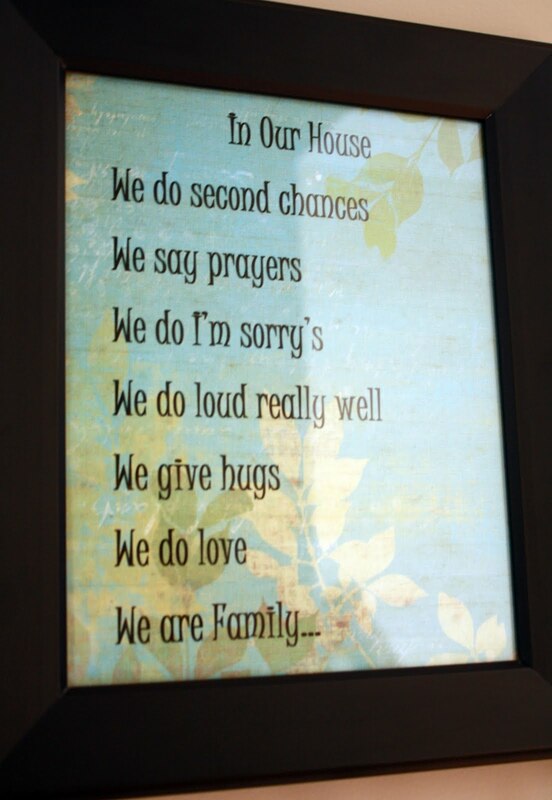 Just loved what this said and how it really defines my family. Just in case the adults kids need another reminder. Simple and organized, exactly what I was hoping for! Looks great. I love your little sign. It is precious. I might just have to steal it. It looks fabulous! I love the blue basket. Great job. I love the blue wire basket and the frames above the hooks. Well done...of course! Looks gorgeous, Andrea! So clean, fresh and well-organized! I love the door mat and of course the house prayer sign. We must have similar families, because it would be perfect for mine as well-especially the loud part! Super job!! Congratulations on being featured at The Blooming Hydrangea! Woot, Woot! 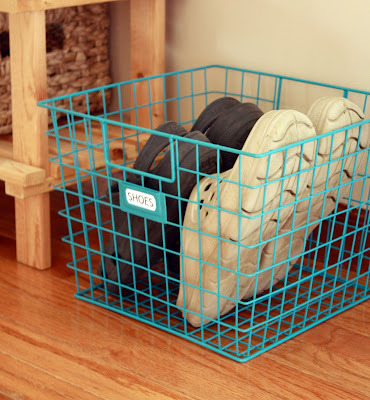 So simple and organized. Love this! So very cute! Looks so nice & organized! Great job! 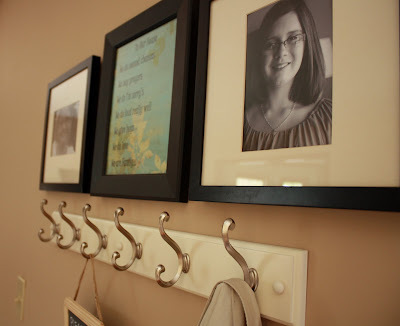 I popped by via Thrifty Decor Chick's link party!! Great blog!! THanks for linking up. great spot for a launch pad. I love how organized and neat this looks! Great job! I'm your newest follower. That's great- I love the little notes and reminders...also that you call it a launch pad. That's what it's like now that I think of it. New follower, also a newbie visiting from Debbie's party! Stop by, I'd love it if you followed back! Also, I'm having a pet portrait give away! I love this area!! Nice job. I have to do something similar. Our garage door area is a mess!! You've inspired me to plan my own MUCH needed launch pad. I'm working on it. But, Jeremy says I'm not allowed to call it a "launch pad," because that term annoys him. ;) Ha! Either way, we NEED it! Great job! You have really organized it well and made it pretty! Thank you for sharing with us at Inspiration Friday! 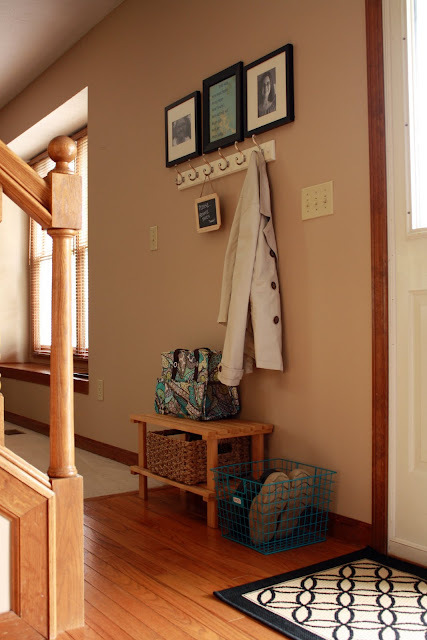 Very cute entryway! 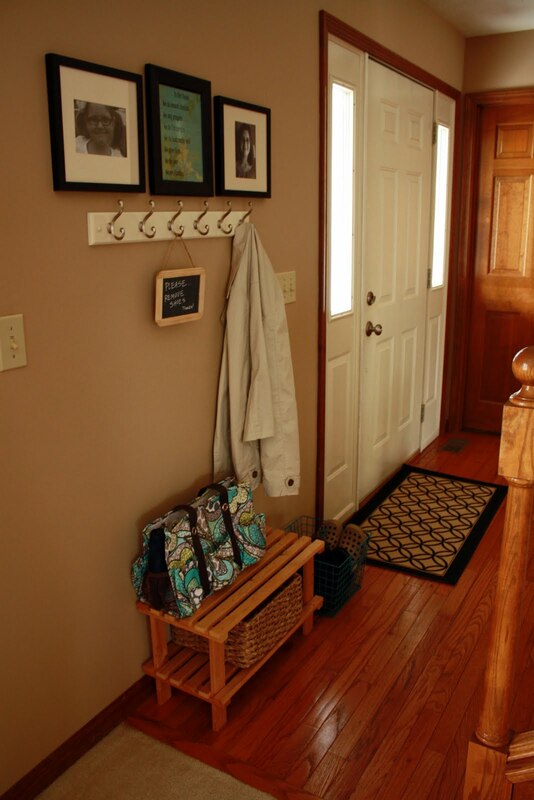 It's amazing how big of a difference coat hooks can make to keeping an entryway organized! Gosh I could really do with a launch pad too. You did a great jobIs the bench from Ikea?